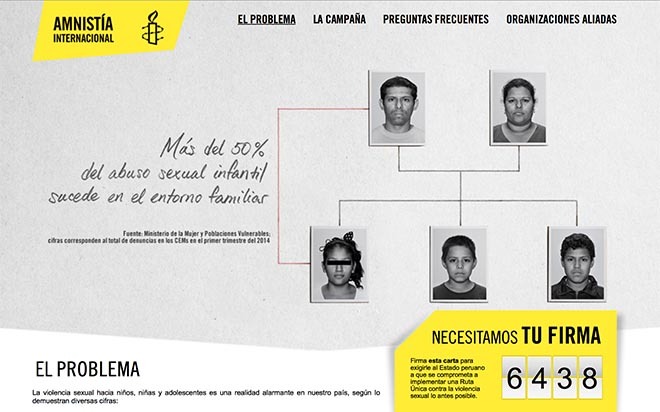 Amnesty International in Peru is running an integrated advertising campaign raising awareness of the need to address sexual abuse of children in the home. 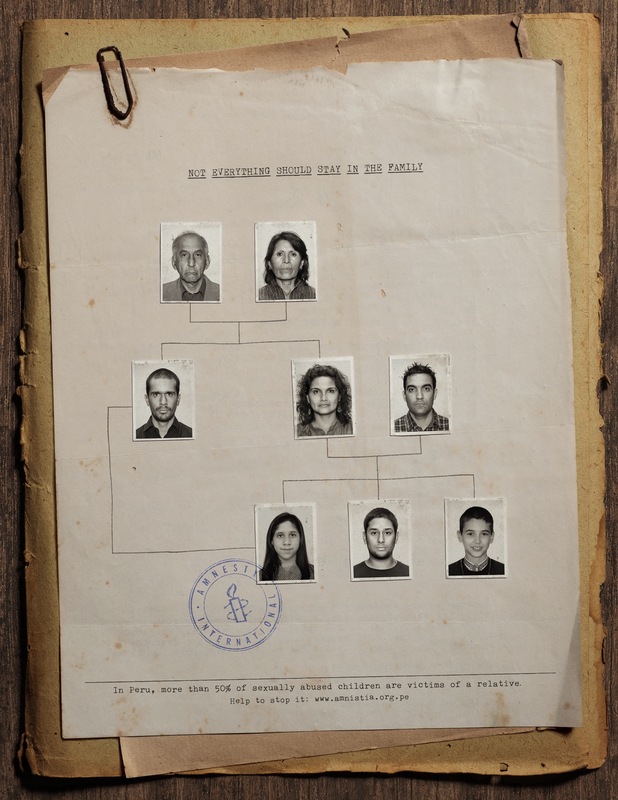 Print and online elements of the campaign, launched in late 2014, use family trees to reveal the chilling sexual connections between abusive adults and children. “Not everything should stay in the family. In Peru more than 50% of sexually abused children are victims of a relative. Help to stop it at amnistia.org.pe”. Amnesty’s microsite at amnistia.org.pe/nomasviolenciasexual, provides some of the background to the campaign and encourages visitors to sign a letter to the Peruvian government calling for the implementation of a single response pathway for sexual violence. The campaign included a chilling Christmas message reminding viewers to stay sharp. 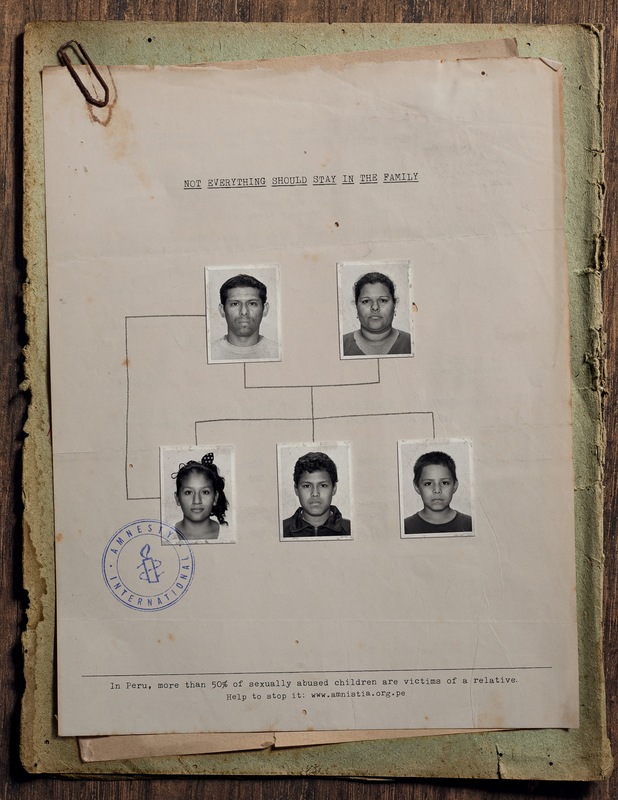 The Not Everything campaign was developed at Carne, Lima, by executive creative director José Rivera y Piérola, head of art Piero Oliveri Johnson, copywriter Alejandro Canciobello, art director Yoshi Ishikawa, photographer Alex Freundt and producer Javier Correa.